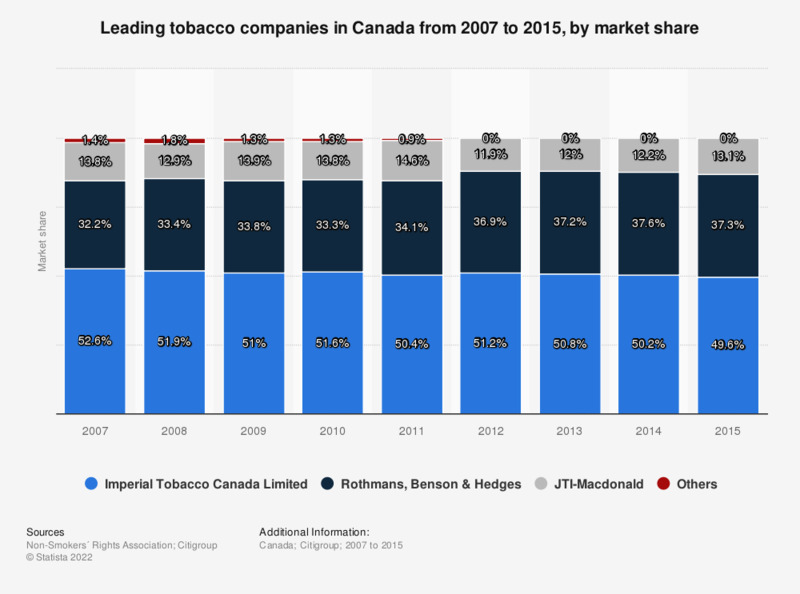 This statistic shows the leading tobacco companies in Canada from 2007 to 2015, by market share. Rothmans, Benson & Hedges accounted for a 36.9 percent share of the tobacco industry in Canada in 2012. Why did you return to conventional tobacco use?